Skin cancer is the most common form of cancer in the United States. Did you know it is currently estimated that one in five Americans will develop skin cancer during their lifetime? Nearly 10,000 U.S. citizens are diagnosed every single day. In 2012 alone, it was estimated that over 5 million cases of non-melanoma skin cancer, including both basal cell carcinoma and squamous cell carcinoma, were treated in at least 3 million Americans. Skin cancer is on the rise as well. Between 1976 and 2010, incidences of basal cell carcinoma increased by 145%. Squamous cell carcinoma increased by over 260% in the same time period. To combat this large increase in the incidence of non-melanoma skin cancers, Sensus Healthcare developed the SRT-100™, a system that uses precise, calibrated doses of Superficial Radiation Therapy to destroy cancer cell DNA, effectively disrupting their ability to grow and divide, and eventually causing them to die. The best part about this treatment option is that is non-invasive. There’s no cutting, stitching, or bleeding involved at all. There’s no need for anesthesia, no risk of infection, and no need for reconstructive plastic surgery after a harsh Mohs surgery. Additionally, treatments are painless; patients have no downtime after their appointments and can resume their lifestyle as normal following a treatment session. Our machine has been approved by the U.S. Food and Drug Administration for the treatment of non-melanoma skin cancers (and keloid scars), and offers impressive cure rates. The SRT-100™ proves effective over 95% of the time. 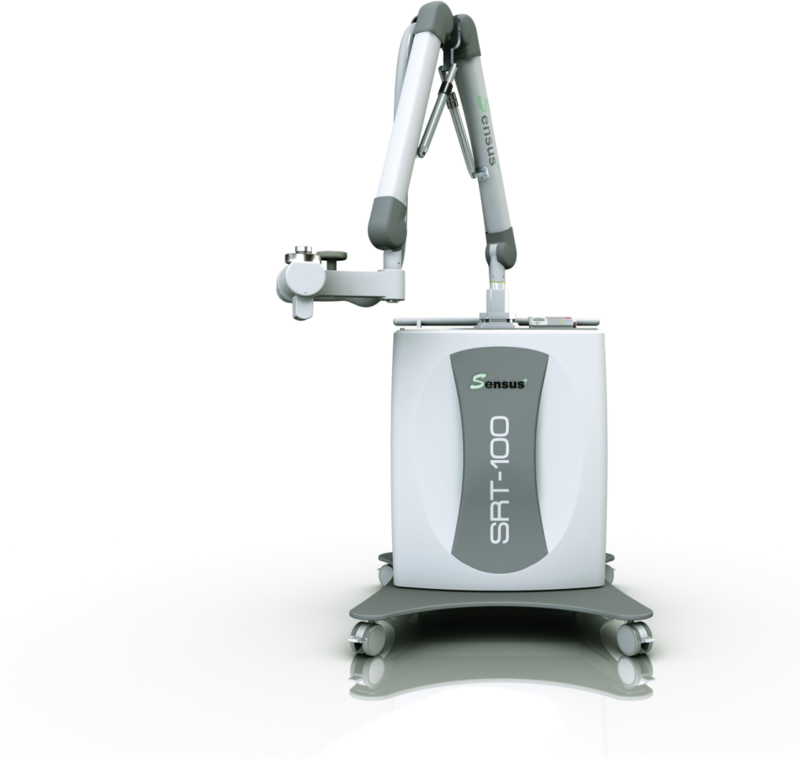 Interested in acquiring the SRT-100™ for your hospital or practice? Contact Sensus Healthcare today for more information.